Elvet Estates is your local award winning estate agent specialising in property sales, lettings and auctions. What is your house number or name? How are you like to market your property? We're processing your valuation request and will be in touch shortly. Our property experts will guide you through the analytics of the sales market in your area at the moment. Once you have accepted an offer on your property, we will help you with the legal process, from instructing solicitors right through to completion. We will be by your side right through to completion and more. You can trust in Elvet Estates. "Elvet Estates sold my property in Washington. I was very pleased with the service throughout. My property sold quickly and the fee's for this service were very reasonable. 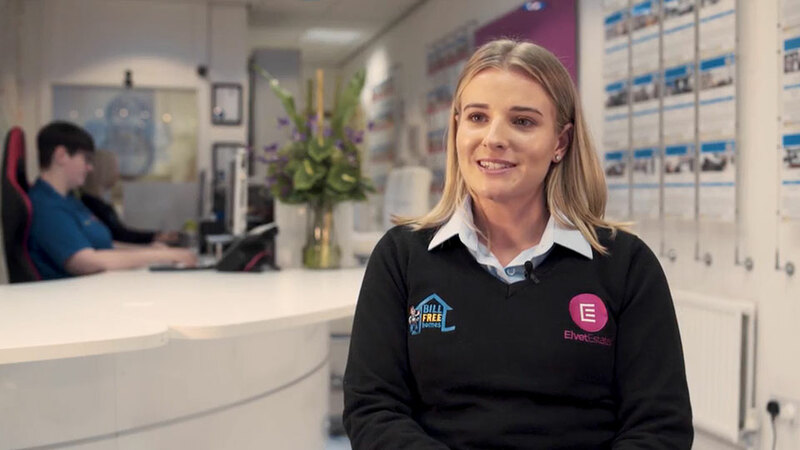 I found the whole experience with Elvet much better than any other estate agents I have used. Highly recommend this company if you are selling your property." "I would highly recommend Elvet Estates if you have a house you need letting. They put out an excellent advert on several different sites and organised and facilitated dozens of viewing for me and my husband. Tanya kept in constant contact with me before finding a lovely couple to move into our home. Fantastic service and will use again when needed." Start selling your home with a free valuation from the local property experts.